Light, versatile and ready for anything, from summer hikes to adventure travel the Sphere Tank is a go-to top featuring Icebreaker's Cool-Lite jersey fabric for total daily comfort and breathable, odour-resistant performance. Cool-Lite combines soft, breathable merino wool with natural Tencel and corespun fibres, which feature a nylon core wrapped in merino wool for added durability that retains next-to-skin softness. 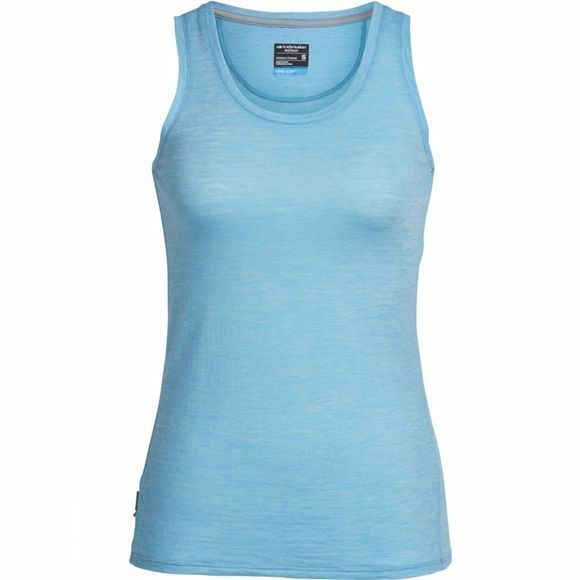 The classic tank design is perfect for layering or wearing alone on hot days.